A boat tray is perfect choice for serving food that will be consumed immediately or served at a buffet table. 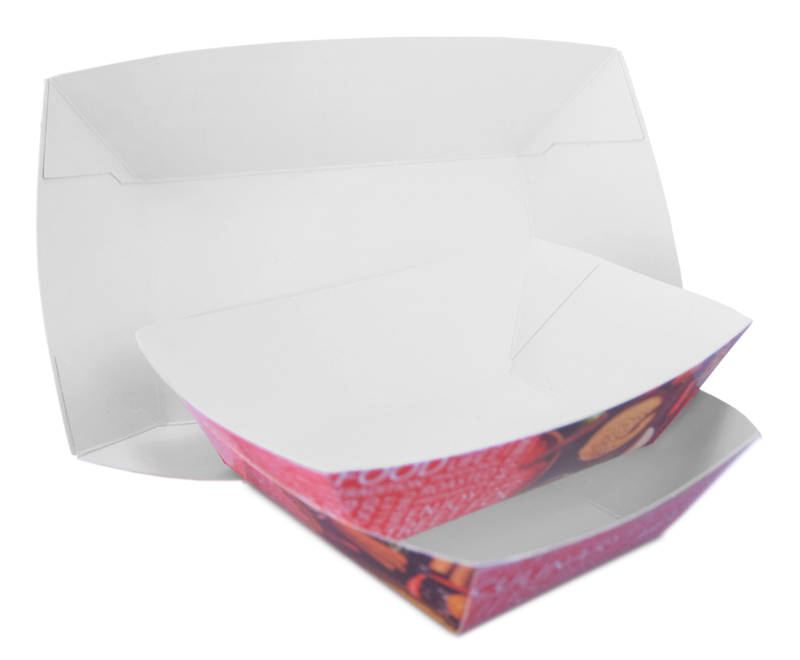 Thanks to its simple design and making, these boxes can be used for serving all sorts of food without leaking, spilling or breaking it. They are resistant to grease, gravies and oil. 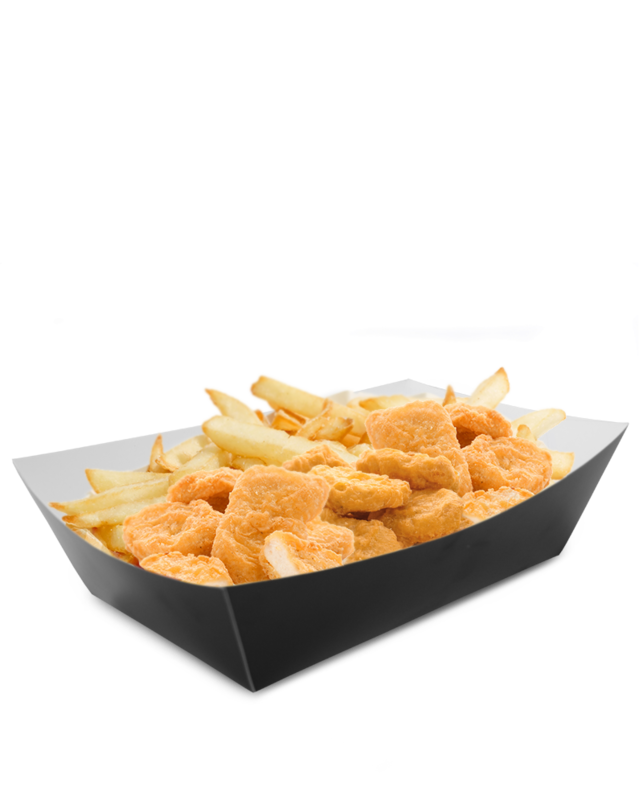 Boat trays are available in white, with a universal print, or can be custom printed, according to your desires. They are made of the finest cardboard which has a food safety certificate issued by the City Institute of Public Health – Center for Hygiene and Human Ecology. They are made so as to allow easy filling with food. They can be with a universal print, completely white or custom printed with your advertisement and information, thus providing an extraordinary way of advertising and reminding customers of your services! Achieve a significant advantage, both in providing better services and promoting your firm and products.